If ‘Gamla Stan’ is the perfect spot for satisfying your architectural senses, you shouldn’t expect the same of the most central of all Stockholm districts: Norrmalm. A big part of the district has been bulldozed down in the nineteen fifties and sixties and the new buildings raised don’t necessarily work well as eye candy. But do not despair, there’s plenty to see and do here nonetheless. Norrmalm High Rises, Stockholm. Photo Olof Holdar/ mediabank.visitstockholm.com. Norrmalm by far is the busiest district of the capital, commuters, shoppers, businessmen, tourists – everyone – will pass by here on any given day. 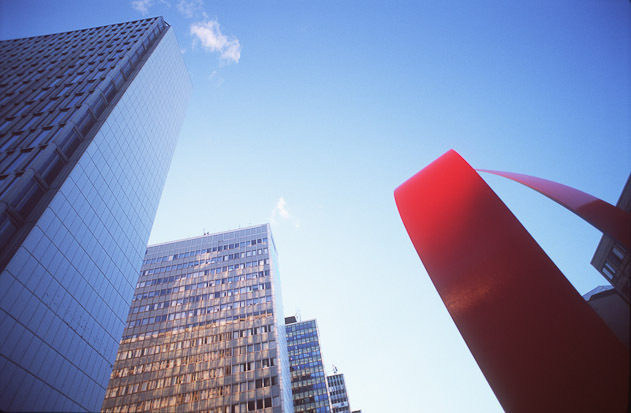 The southern part of Norrmalm is dominated by business life – especially banks – and commerce. Also called ‘City’ – a name likely brought to the capital from the City of London, based on the interpretation that city means central district – this is by far the busiest area of the capital. If you will spend some of your time in Stockholm for looking for the latest Swedish fashion and design, this is the area where most of your shopping will take place: the upmarket department store NK – ‘Nordiska Kompaniet’ – is here and so is Biblioteksgatan, the short but vibrant shopping street just a block away from NK. Norrmalm, Photo by Yanan Li/ mediabank.visitstockholm.com. The islets Skeppsholmen and Kastellholmen can be reached on foot from here. 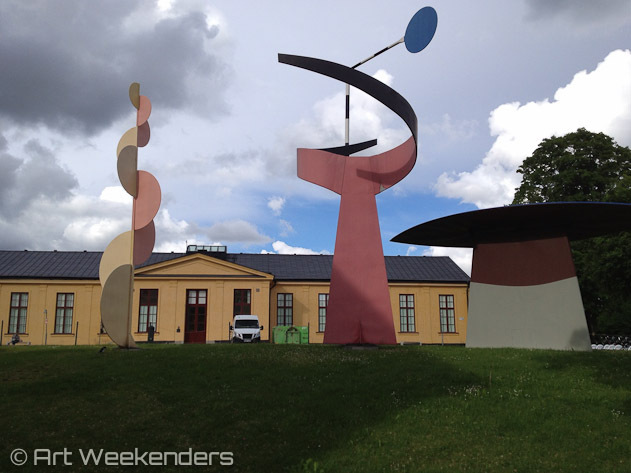 As an art traveller this is likely where you will be heading when in the area: the Museum of Modern Art – the ‘Moderna Museet’ – is based here and it’s a must if you’re in town. Among other highlights in the area you will come across the National Museum (‘Nationalmuseet’), the Opera House and the House of Culture (‘Kulturhuset’), a 1970’s concrete building (yes, we know what you’re thinking, and yes, you are right) a pretty ugly building indeed, but a great venue for some fun and exciting art exhibitions and performances. Out on the island of Skeppsholmen, far from the noise and hustle of the city, you will find Moderna Museet in a perfect setting. As contemporary art museums go, this is easily to be considered a worthy one. Currently (2013) the museum is headed up by Lars Rittve of London’s Tate Modern fame, thus quality and variety is of the highest standards. No surprise thus, Moderna Museet has one of the world’s finest collections of art from 1900 to the present day, including key works by artists such as Marcel Duchamp, Louise Bourgeois, Pablo Picasso, Niki de Saint Phalle, Salvador Dalí, Henri Matisse and Robert Rauschenberg, along with more recent acquisitions of contemporary art and an extensive collection of Swedish artists. The collection also comprises photographic art and photography of international fame. All in all the permanent collection comprises some 5,000 paintings, sculptures and installations, some 25,000 watercolours, drawings and prints, and some 100,000 photographs. The quality and span of the temporary exhibitions is just as ambitious, with the likes of Henri Duchamp, Yoko Ono, Le Corbusier among the hundreds more who passed for review over the years. Adjacent to the main museum, you can also find the Architecture Museum, which recently reprofiled itself to the ‘Architecture and Design Centre’ of Stockholm. Maybe it can’t be praised as one of the must-sees in Stockholm, but occasionally they have interesting exhibitions, so might be worth keeping an eye on it. 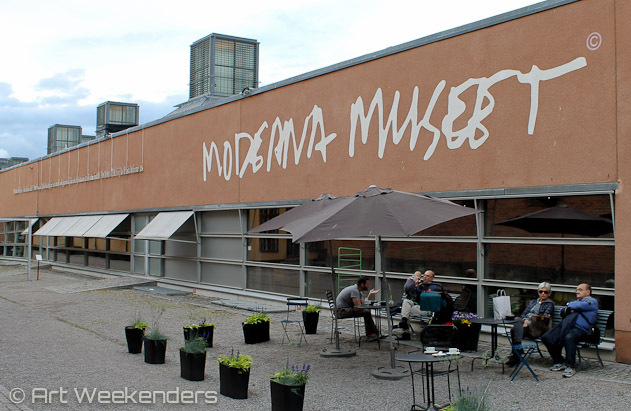 Moderna Museet of Stockholm has a sister museum in the third biggest Swedish city of Malmö as well. The Royal Swedish Academy of Fine Arts has been in its permanent site in Norrmalm for almost 150 years: the building was built in 1866. No wonder thus, that it was in the need of a refurbishment and, therefore, currently it is undergoing renovation. The building has been closed since February 2013 and the re-opening is planned for 2017. With most likelihood, the new plan won’t leave anyone disappointed, so it’s definitely something to look forward to. National Museum, Stockholm. 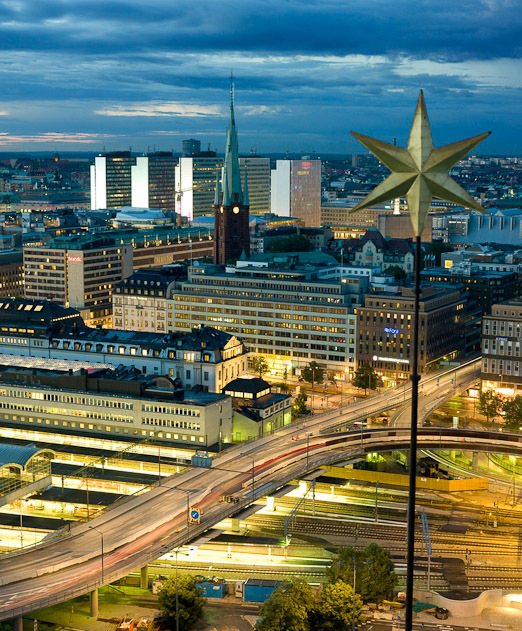 Photo by Yanan Li/ mediabank.visitstockholm.com. Even in the meanwhile, the leading museum of art and design in Sweden – with collections of older paintings and sculptures as well as drawings, graphics, handicrafts and design up to the present day – is making its collection available to the public in a temporary museum that just opened on June 13th 2013 in the Konstakademien building on Fredsgatan in central Stockholm. 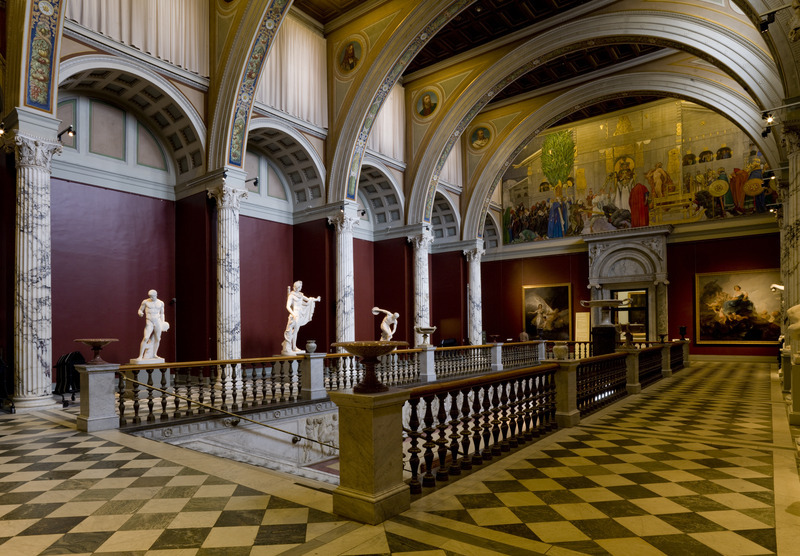 While the National Museum has important classical works from the likes of Rembrandt, Rubens, Goya, Renoir, Degas and Gauguin, the centre of the attention should be reserved to the well-known Swedish artists such as Carl Larsson, Hanna Pauli, Anders Zorn and Bruno Liljefors. It’s fair to say that currently the museum’s highlights are more around its permanent collection, while the temporary exhibitions are in general attracting less attention. It’s not that easy nailing down in one sentence what you should expect from ‘Kulturhuset’, Stockholm’s House of Culture. The not especially attractive1970s concrete building in the middle of the modernist city centre on Sergels Torg, operated by the city, is a venue for art exhibitions and performances. On the bridge to Skeppsholmen, Stockholm. It’s fair to say that you can expect a lot of events and of a great variety. Going through the agenda at any given moment can come across as almost overwhelming. You will find live performances, theatre, movies, exhibitions. The building also houses a library, with a comic book department, and restaurants. At your fist visit it’s easy to feel slightly overwhelmed. The place can easily get crowded and you might easily get intimidated and turn around and leave. But if you’re a bit patient, you might find one or the other unexpected gems. If you have time and you are a little bit curious, it can be worth looking in – and since it’s free entrance your curiosity will have a very low price. It’s not for everyone, but go in with open senses and you will likely come out with a positive surprise. 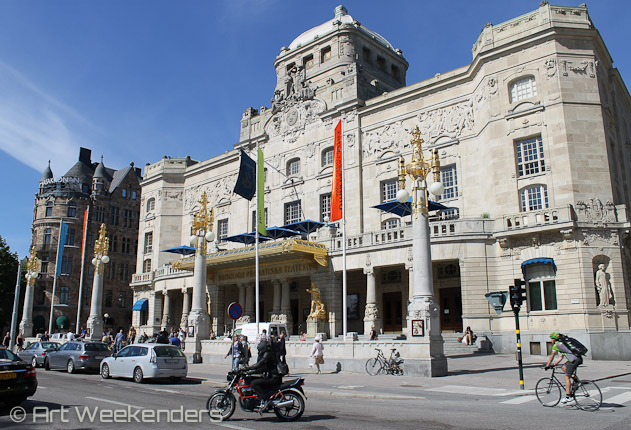 The Royal Opera is Sweden’s national stage for opera and ballet since 1773, when the first performance was given at the Royal Opera. Its foundation was laid by King Gustav III, the patron of the arts and benefactor of arts and literature. 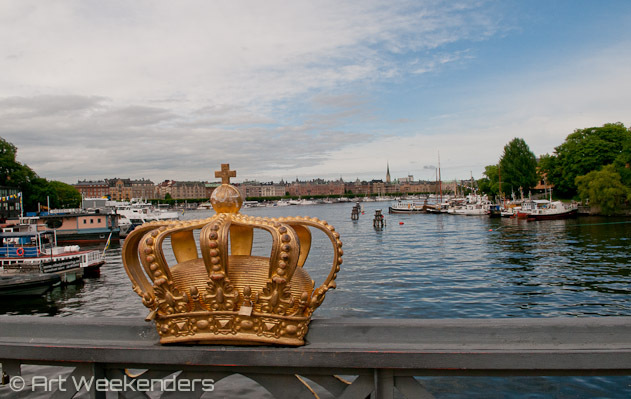 In 1771 the king dismissed the French opera troupe which had for about twenty years played in the so-called Bollhuset at Castle Hill in Stockholm and initiated the formation of a Swedish opera ensemble. As an irony of life, the king also met his death here some twenty years later when he fell victim to an assassination attempt. Now more than two centuries later the Opera still stages classical operas in original language or Swedish, as well as classical ballets and concerts. If you are only interested in the architecture, there are guided tours, but currently only on Saturdays at 1 pm or upon request for groups. Nationalmuseum, Södra Blasieholmshamnen (T Kungsträdgården). Open Tu 11:00-20:00, W-Su 11:00-17:00. http://www.nationalmuseum.se/sv/English-startpage/. Temporary location: Konstakademien building on Fredsgatan. Kulturhuset, Sergels torg (T T-Centralen). Main galleries open M-F 11:00-20:00, Sa-Su 11:00-17:00 Kulturhuset Stockholm (Swedish only).